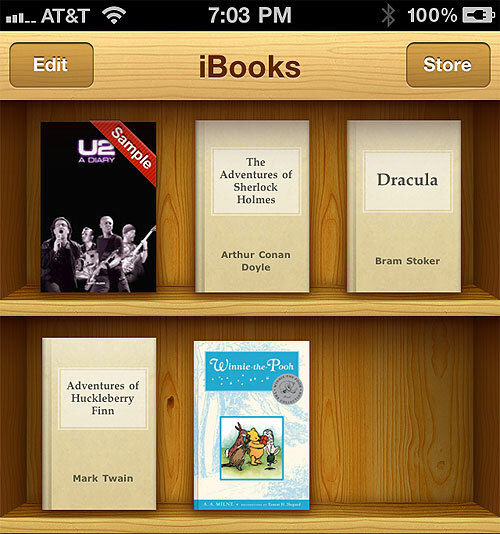 If you’re a big iPad user, or iBooks reader on your iPhone, you may already know this. Me? 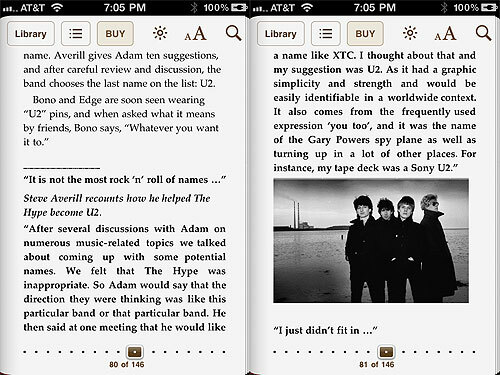 I just discovered tonight that U2 – A Diary is available in Apple’s iBooks store. The cost is $14.99, which is probably a little higher than I’d expect — but less than the “new” price at most places that are selling the print version. The iBooks store offers a sample, too, which can be downloaded for free. (see it above in my library) The sample is the start of the book up through about page 24, which tells the story from the beginning (195) up until late 1979. It’s a pretty good sample of material, but it’s a bit light on images. So … if you haven’t read the book yet, or if you’ve read it but you also want a digital copy for your iPad or iPhone … check it out in the iBooks store. And let me know what you think about reading digital copies of books. Here are a couple pages of the sample.